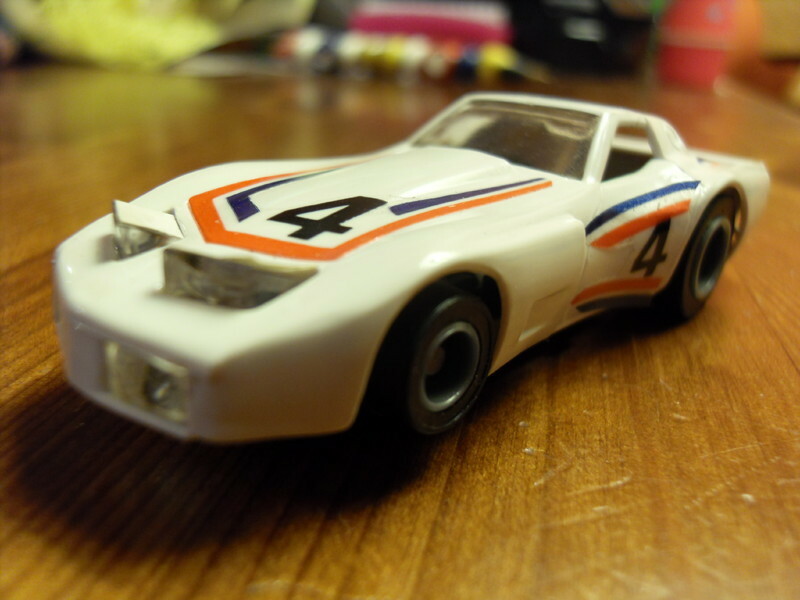 Fantastic early U.S. market matchbox speedtrack car 6v 'with stripes' white corvette. It has the destinctive thin copper contacts which need lubrication constantly otherwise slit holes would appear within little use. 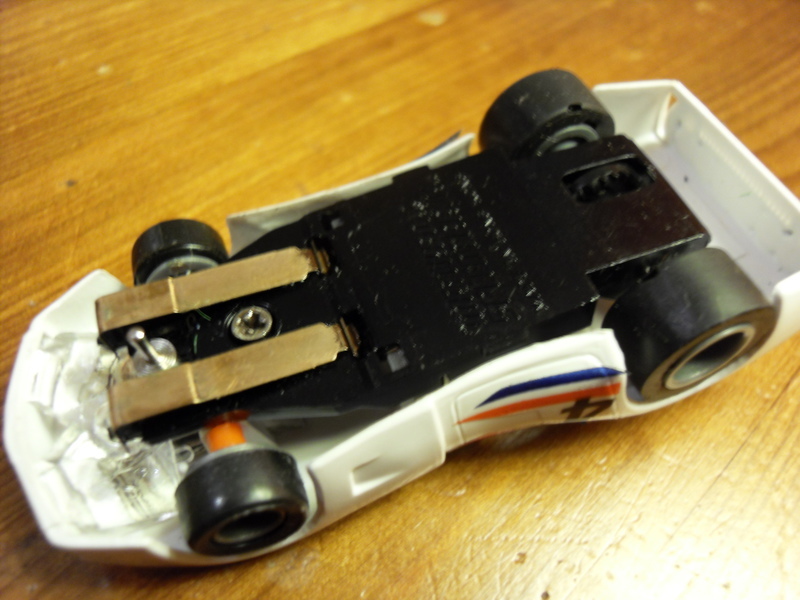 Early cars has a slightly lower chassis, it meant the chassis could not be interchanged with the later type without adjustments when fitting. Later came the standard grey spoked wheels used throughout the range. Values on the above cars have been rising steadily over the last 10 years. Some were recoded to sell at over £500, and some rarely come up for sale. The rarity of several 12/18v cars is alledged to be a factory fire at the DAPOL warehouse.....'In 1994, while the company was moving to its previous location at Llangollen in North Wales, a huge fire destroyed the old site at Winsford in Cheshire, and large quantities of products and historical Wrenn material were destroyed.' 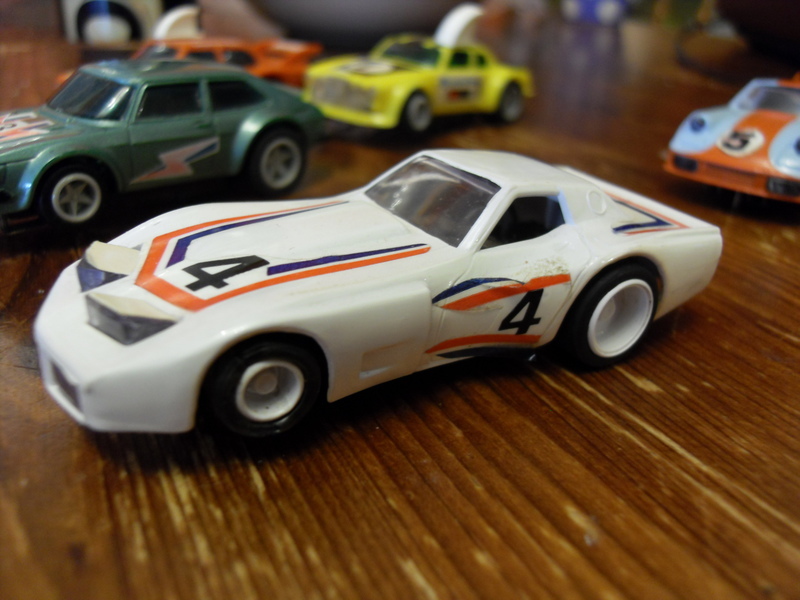 Those 'products' may have included a vast storage of the above cars pre-distribution. 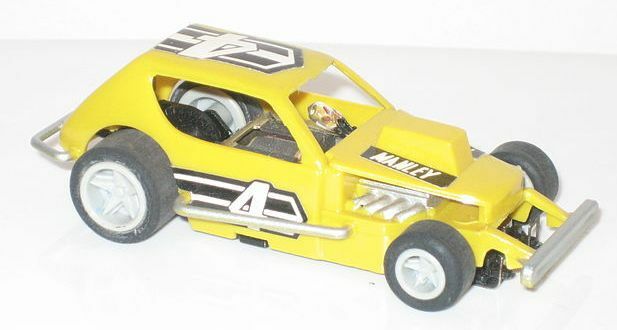 It is beleived that only some stocks were released with these cars, in Powertrack Plus, PROOPS and Counterlane sets. Other rarity like the police helicopter is down purely to how easily this copter could be destroyed as it swung out from the track. The prototype models will be rare as are unusual combinations of decals, painted rooves etc.